It seems to me Johor politicians are determined to kill their golden goose with all this talk about JB retaliatory VEP. Reports say this could be in the region of RM 50. It also strikes me as rather odd the view of these people that given their strong currency, Singaporeans wouldn’t mind paying. I get the impression they are just emulating the Singapore government bad habit of squeezing every cent out of vehicle owners. But these politicians are sorely out of touch. Friends who were JB regulars have scratched Malaysia off their list. The Causeway is now glaringly deserted. With the steep increases in tolls at both Checkpoints, the pull factor of bargains in JB has vanished. With the impending JB VEP next month, it’s the last nail in the coffin. JB golden goose is already comatose but with its proposed VEP it will be dead. JB state govt officials,who asserted that Singaporean motorists would still flock to JB despite the steep toll increases, puzzled me. Either they are out of touch or whistling in the dark. Friends who used to be JB regulars have refused to be held ransom by the tolls of both Singapore and Malaysia. They have been boycotting JB. The volume of traffic both outbound and inbound has plunged dramatically. the school holiday season the Causeway should be choked with bumper to bumper traffic. The truth is except for the morning inbound and evening outbound traffic, cross border traffic is very light. In fact, it’s deserted at times. Deserted enough for a distressed airplane to land. So when I read a week ago about JB’s plan to impose a fee of about RM $50 on Singapore vehicles very soon, my immediate reaction was Is JB state government mad? It’s their right to impose any amount of fee as they see fit. But what are they thinking? Clearly when $$$$$ signs beckon, all rationality flies through the window. When elsewhere in the world, cross border trade and tourism flourish with few restrictions, Singapore and Malaysia area are moving in the opposite direction. Perhaps, Malaysia has learnt from Singapore the fine art of squeezing money from motorists. An art the Singapore government has honed to perfection. One can imagine PM Najib whispering to PM Lee, “Singapore bolih, Malaysia pun bolih. Haha”. A JB regular said, “With cheap air fares on budget airlines, why confine your travel only to Malaysia? So a month has passed after the JB bombshell of nearly 500% in toll hikes. The cross border travel has plunged dramatically. Generally it’s free flowing traffic except for the inbound traffic from Malaysia during the morning rush hour. This has wide ranging negative implications for JB businesses. A sign of the times is the sight of car wash workers desperately waving whenever they spot a Singapore car as if they are in some kind of emergency situation. Initially hopes were raised that the Malaysian authorities would review the steep toll hikes. Politically correct opinions were duly expressed. The Deputy Prime Minister said tolls should not be a burden on the people. MCA and the social media too expressed similar concern. As expected it was eyewash. When the revenue poured in like a gigantic waterfall, the noble sentiments were conveniently forgotten. Cakap saja (Malay for talk only). Meanwhile JB has pursued the idea of its own VEP, a permit to enter JB. This could be NOT less than RM 50. The final decision now lies with the federal government. This will be the death knell for JB businesses surely. But the governments of both Malaysia and Singapore are laughing all the way to the bank no doubt about it. There might be a political price to pay for PM Najib of Malaysia. But no such misgiving for Singapore PM Lee. Daft Singaporeans. Food for thought. Sports Hub: cyclists not welcome? Comments Off on Sports Hub: cyclists not welcome? The lack of parking facility for bicycles has now been highlighted in the media. This is very disappointing for a so-called sports hub that aspires to be world class. There’s no doubt that it’s an impressive edifice but billing itself world class is a bit of exaggeration when cyclists cant even find a place to park their bikes. Anyway, cycling is a sport as well, is it not? Cycling is not only confined to biking to NTUC or Giant to pick up some groceries, you know. On my first visit to the Sports Hub I couldn’t find a bike rack. I know there’s one near an MRT station but which station I didn’t know at the time ( it’s at Stadium MRT station). Even the security people didn’t know. There are no directions pointing the way to a bike rack. Like most things in Singapore, when the authorities can’t dip into your pocket to extract some form of payment, it’s low priority to them. The Sports Hub is now looking into providing more bike racks following the outcry. The Hub is a huge place and more bike racks around it would make things convenient for cyclists. In the meantime Sports Hub should be less arrogant and stop issuing threatening love letters to cyclists to wheel clamp their bikes as if they’ve committed a crime of the century. Sports Hub has retailers like NTUC, Uniglo and eateries. Does Sports Hub want cyclists to boycott them? Incidentally, I was cycling past Sports Hub the other day but since it doesn’t welcome cyclists I opted to boycott the eateries there although I was quite famished after a long ride. This is another reason why I didn’t go for the Juventus soccer match. Heard the attendance was disappointing. Clearly Sports Hub has scored an own goal. Without “customers” Sports Hub might one day become just a white elephant. At one stroke of the pen, the Malaysian government has managed to reduce dramatically the perennial traffic congestion on the Causeway, the blight of cross border travelers for the last 40 odd years. This is miraculous indeed. The icing on the cake is that even with a spectacular fall in traffic volume, the Malaysian government is still raking in even more revenue. But the Singapore government, whose core value of greed is anathema to Singaporeans, can in the meantime only look on in envy. You can rest assured it is going to match JB toll hike as it vowed to since chasing after every cent is its obsession. Malaysia bolih, we pun bolih will be its response. If not, SG government will lose out in the revenue stakes, never mind the financial impact on SG citizens. For those willing to pay (and Singaporeans always pay and pay after all, so another pay doesn’t matter), free- flowing traffic is a dream come true. However, the vast majority demur and stay away from JB. No longer worthwhile most people would say. This is the new normal now. Malaysia made noises about reviewing the JB toll hike but with money cascading into their coffers, what’s the hurry? Betul kah? But SG government is in a hurry to match. Any day now. And that will mean the last nail in JB’s coffin. Jangan sombong lah; SG govt pun bolih! 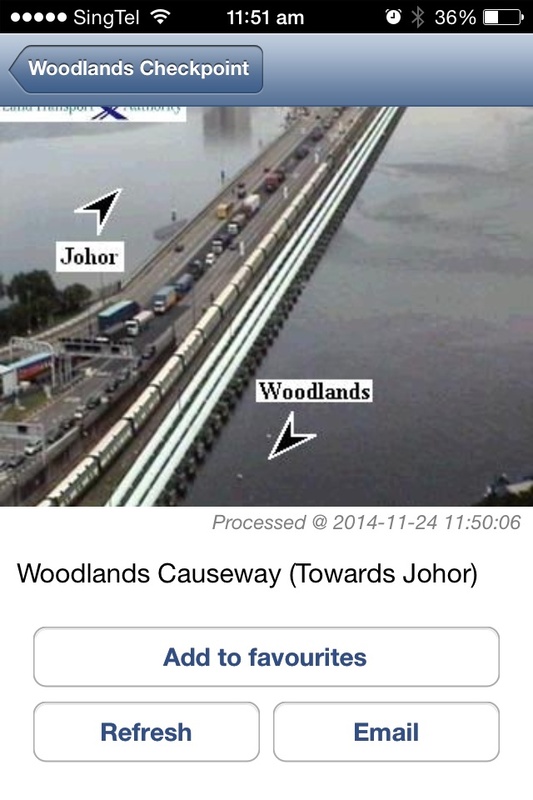 Out of curiosity I’ve been monitoring the outbound traffic to JB for two weeks. The JB state government may not like to know this: the number of a Singapore cars crossing over has fallen dramatically. To see things at first hand, I crossed over the other day. I took the 400% JB toll hike in my stride. Where it was bumper to bumper traffic, it was now free flowing. Even the immigration officers appeared more relaxed. Some quarters in Malaysia claimed that there has been a fall of only 5%. I doubt it when the flow of outbound vehicles has been reduced to a trickle. As expected, it was a breeze through the two checkpoints. The usual congestion outside the two petrol stations near the JB checkpoints had vanished. They used to do a roaring business for U-turn motorists, who after cheerfully filling up their tanks with cheaper petrol, would head home. At the Giant supermarket Singapore cars were conspicuously missing. A car wash employee was waving frantically by the roadside urging motorists to come in. Taking pity on him I went in to wash my car (RM 10 for a snow wash). He said business had plunged dramatically. At the petrol station, an attendant also said the same thing: poor business. I used to have to wait before for my turn because of the huge number of Singapore motorists but that’s history now. But one thing that never changes is the sight of many JB traffic cops outside the JB ICQ. Even though there are fewer Singapore cars now, “business” is still not bad for them. So “hardworking” are they that even on rainy days, they don’t vacate their favourite fishing spots. After two weeks, Singaporeans are still giving JB the miss. When the Singapore government, never one to fail to seize the opportunity to squeeze more money from Singaporeans (but spend the least on social well-being of its citizens among developed countries), matches the JB toll hike it’s the last nail in JB’s coffin. With the double whammy, it’s totally not worth the while to go to JB. Unless the Malaysian government somehow finds a way to restore the pull factor which used to draw Singaporeans by the thousands to JB. Perhaps, allowing Singapore cars to pump the cheaper RON 95 petrol? But this may not be right as subsidized petrol should only be reserved for Malaysians. Malaysians too are giving Singapore the miss. So which side will blink first? Once again the same scenario is being played out: the majority of Singaporeans are not flying the national flag. The suggestion by the ruling PAP MPs that it’s due to the design of HDB flats is laughable. They not only insult our intelligence but also highlight the widely held perception that they are sorely out of touch. signal their dissatisfaction with the government. It’s tedious to go over the same ground so I won’t repeat them here. But a few points bear repeating. In a nut shell, the government has destroyed the social tapestry with its massive imports of foreigners, the unbearable overcrowding on public transport, the divisiveness caused by huge numbers of foreign nationalities and the rising cost of living. Add to this a self-serving and out of touch government that is bent on money grab and that is among the top sovereign wealth funds in the world but spend the least on public welfare among first world countries. surplus. Barring recessionary and crisis years like SARS, it has been consistently amassing billions every year. Even if you live on the tree top, you can still find a way to fly the flag. 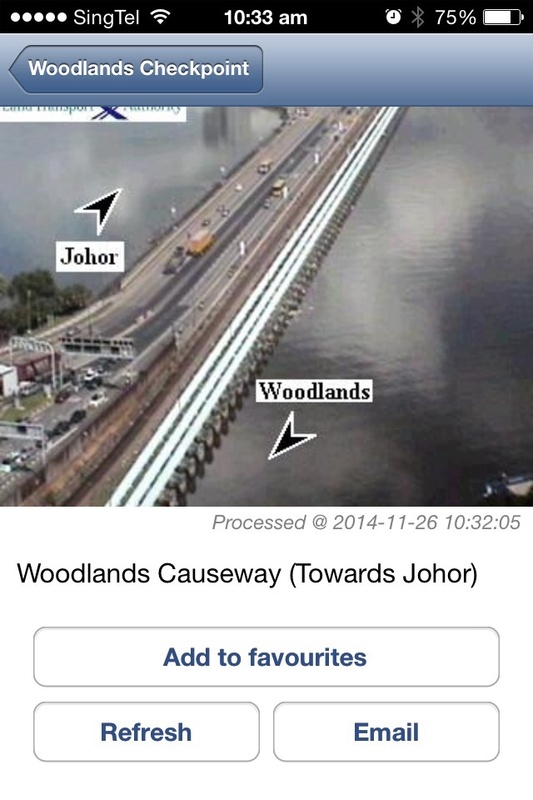 Today is Day 6 of the big toll war between Malaysia and Singapore. Result? Deserted Checkpoints and Causeway. This is unprecedented. At this time before August 1 when JB retaliated with its own salvo of toll hikes, the Causeway would be heavily congested. Again as in the last 5 days, both Singaporeans and Malaysians are staying away today except for those who work in Singapore. A Malaysian politician declared that there was only a fall of 5% in Singapore arrivals. This is doubtful considering the fact that the Causeway has been practically deserted the last 6 days. I’ve been monitoring the traffic, you know. Whatever it is, JB economy stands to lose RM 1000 this week as we five JB regulars have decided to boycott JB. And Malaysia still wants to impose a fee of not less than RM 50 on Singapore vehicles by year- end? 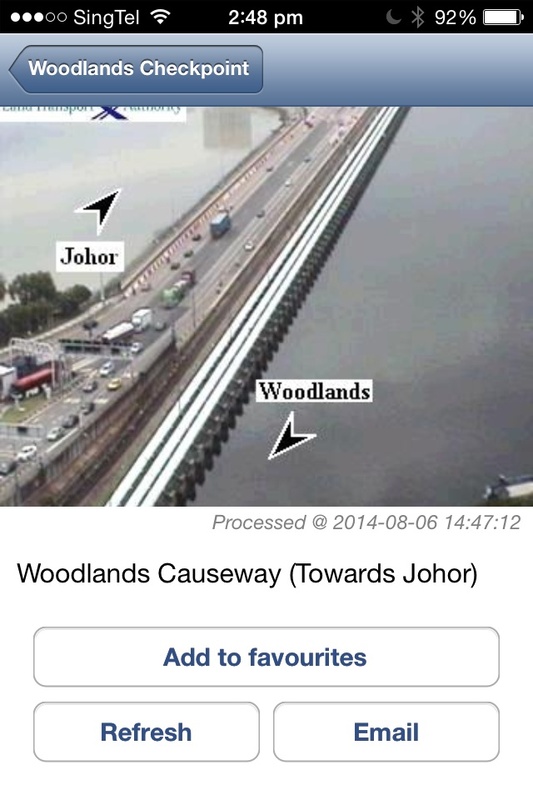 And when the tamak Singapore government matches JB tolls, JB businesses and even Iskandar will be strangled. Berfikir dengan baik-baik lah (Malay for Please think carefully). Some of the utterings of Malaysian politicians betray the fact that they are sorely out of touch. One declared that prices of goods in JB are half that in Singapore. This is incorrect. Most goods in JB are only SLIGHTLY cheaper with some even matching Singapore’s. One can get similar goods in Sheng Shiong here for just a few cents more. Another politician declared that Singaporeans can save up to $40 in petrol purchases. Again this is incorrect. With the three quarters tank rule at our Checkpoints, you can fill up at the most around 30 litres. Factor in the latest JB toll and our exit toll, and the savings is less than $15, generally speaking. When the Singapore government matches JB tolls, the savings will be less than $10. The pull factor of cheaper petrol is now much diminished so why take all that trouble besides wasting time? 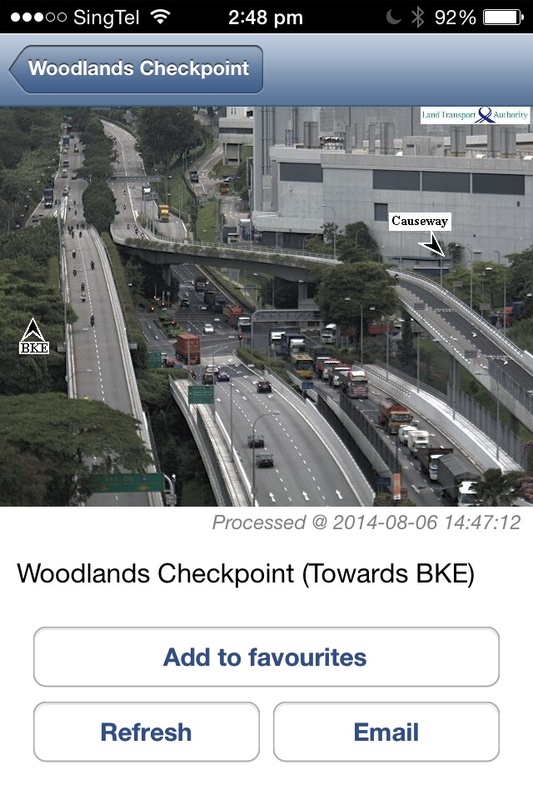 Today is Day 5 since the JB toll hike and Woodlands Checkpoint remain deserted as ever. Clearly Singapore motorists are voting with their feet and boycotting JB. It’s all commonsense really. When the pull factor of bargains to be enjoyed in JB “terbang” (Malay, for fly), most Singaporeans would no longer bother with JB. All the hassle to save just a few dollars? A Sarawak politician was correct though when he accused PM Najib of Malaysia of being penny wise, pound foolish.